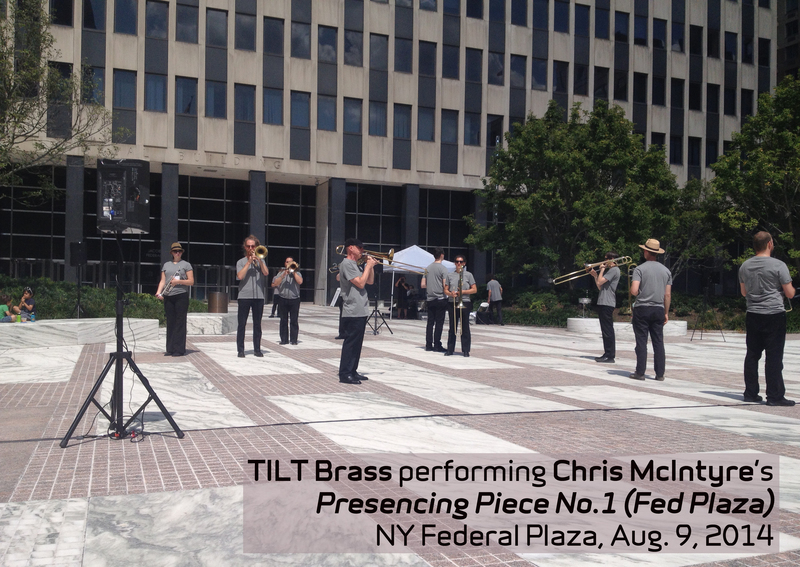 Conceived and Directed by composer, trombonist, and TILT Brass Director Chris McIntyre, Presencing Piece No.1 (Fed Plaza) is a collaborative, site-specific sonic experience designed for the Jacob K. Javits Federal Building Plaza at 26 Federal Plaza. Presencing Piece features a 12-piece compliment of Brooklyn-based experimental music group TILT Brass (trumpet quintet, trombone septet), Either/Or percussionist David Shively, and a state-of-the-art implementation of PA speakers. McIntyre positions the live musicians and speakers around the plaza to amplify and accentuate its physical and intangible properties. The multi-channel PA system is broadcasting sound via infrared technology that also enables interactive audience influence on what’s heard during the performance. 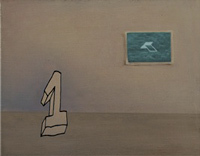 The goal of the project for McIntyre and his collaborators (including Tech Director Ed Bear) is to transform the audience’s experience of the plaza itself as they are immersed within the overall composition. Inspired by artist Richard Serra’s site-specific sculpture Tilted Arc which occupied Federal Plaza in the 1980’s, McIntyre’s Presencing Piece also aims to create a dialogue between the present and past of the site. Text-based sounds tell non-linear histories with content such as lists of geologic data, facts about the local pre-colonial population, and fragments of social and political narratives. In addition to projection from the on-site PA, these sounds are available for listening in personal earphones from “hidden” online sources throughout the event (directed via QR-code posters).